Heat Pumps – do they really save money? 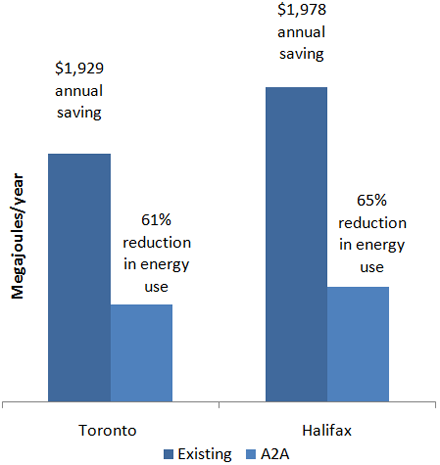 – Efficiency Properties Inc.
Heat Pumps – do they really save money? These days there is a lot of talk about ductless heat pumps. 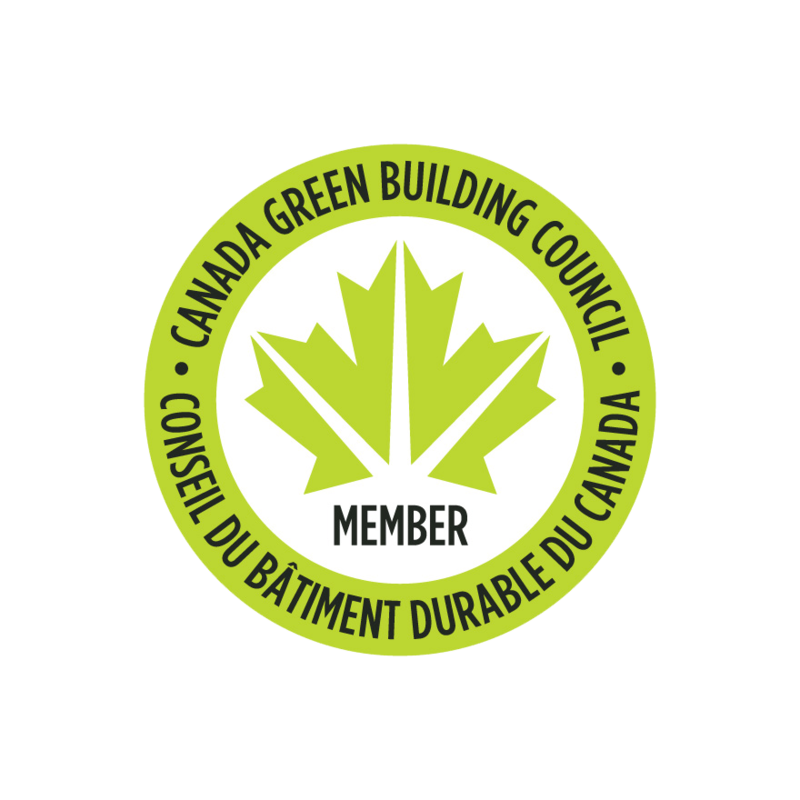 They are common in European homes and more and more homeowners in Canada decide to install this very efficient heating source too. The question is: how much do they actually save? An electrically heated home saves on average 50-60%. The math is easy, an electric baseboard produces one kWh of heat for every kWh of electricity. A heat pump produced 3 kWh of heat for every kWh of electricity. When comparing oil, gas or wood heating sources the age and therefore the efficiency of the furnace has to be considered. There are also other home specific characteristics that are at play when estimated energy savings, examples are: energy rating of the heat pump, size of the home, wall insulation, room temperature settings, occupancy and layout of the home to name a few. 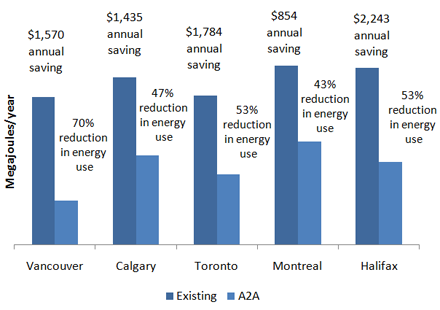 CHMC compared air-to-air (A2A) heat pumps across Canadian cities and the results show that replacing an oil or gas furnace can provide homeowners with energy savings between 57-81%. This is significant, no surprise more and more people look for homes with these or similar features. There are many resources available online to learn more about heat pump technology. Here is a little summary of the major benefits. Heat pumps are a proven technology that can be installed hassle-free in less than a day. They are great in complementing electric baseboard or an existing oil or gas furnace. If your house has ductwork, install a central heat pump. Or choose a wall mounted ‘mini-split’ unit to augment hydronic heating systems, wood stoves or electric baseboard. Installing a heat pump is relatively cheap compared to other heating types. While your monthly energy bill is reduced immediately, on average it only takes between 1-5 years to pay back the initial investment cost (depending on the size and use of the system). Because they use the heat from the outside (yes, even air at -11 degrees C has a heat content) and transfer it inside your house using a refrigerant. This means ‘free’ energy is harvested at your doorstep. Heat pumps save money because they produce more energy than they consume – 1kWh is converted into 3 kWh of heat.